Madeo Multimedia is a project based studio providing corporate, commercial, industrial and special event productions. Our Services are customized for you project requirements. Already have designs or a creative team? We’re happy to work with and take direction from your creative professionals. We have the appropriate equipment for any shoot – stage, studio or on location project. In the hands of our experienced operators, high value shots using Steadicams, jib arms, slider dollies and aerial videography offer our clients plenty of creative freedom. For our clients convenience, we offer teleprompting services for challenging on camera reads. 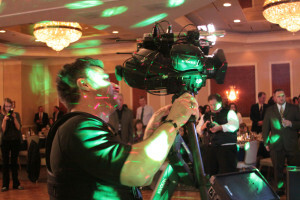 Lighting and audio packages are comprehensive. For theater and show production we offer multi-track recording with a wide variety of professional microphones and RF equipment. Our team takes pride in their work. It’s our tradition to always provide the best service to our clients regardless of budget constraints or scope of project. Contact us today to schedule a meeting and needs assessment.